WORKSUITES North Houston office are located on the 5th floor of a 9-story premier office building, which is prominently located at I-45 North and Beltway 8. It features a panoramic views of the Houston landscape, a dramatic atrium lobby, and an on-site deli. 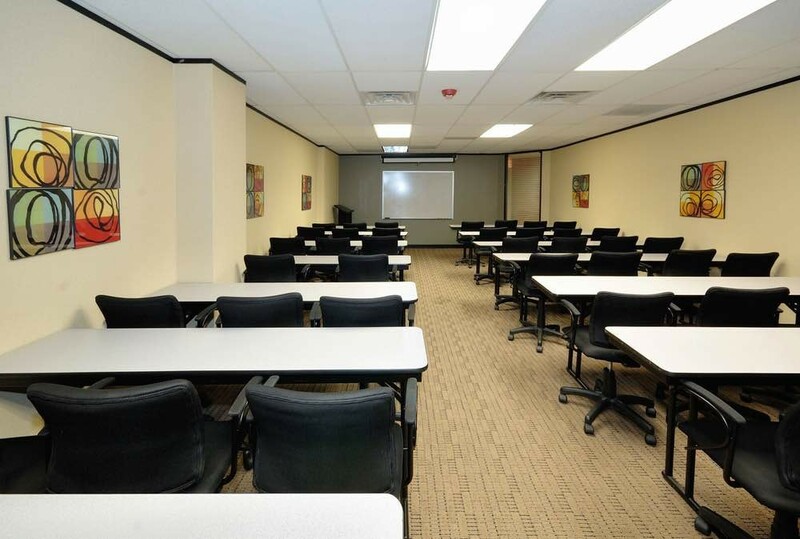 On Meridian’s floor, you’ll have access to three conference rooms, a large training room, high end video conference equipment, and a full kitchen - always stocked with fresh coffee! You’ll also enjoy hassle-free parking in the adjacent four-level skywalk garage. Centrally located in North Houston, this location offers access to choice residential communities like Kingwood, The Woodlands, and Spring as well as easy access to Downtown Houston and just a 10 minute drive to George Bush Intercontinental Airport.